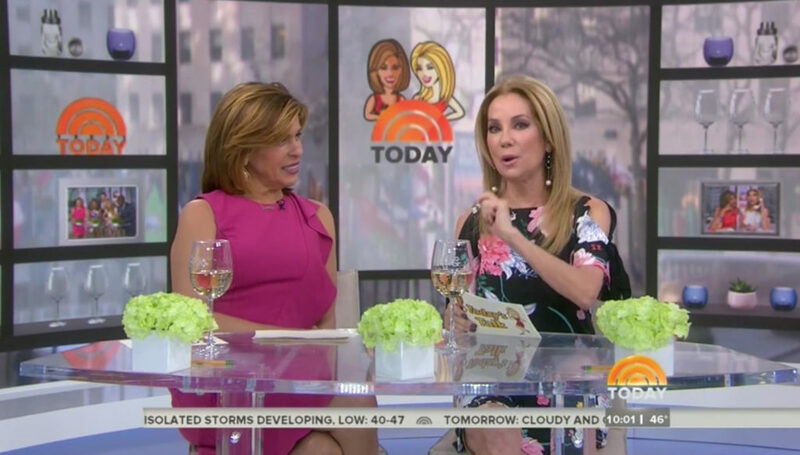 In addition to the first two hours of “Today,” the offbeat fourth hour of the broadcast hosted by Hoda Kotb and Kathie Lee Gifford also got a new home base when the new Studio 1A debuted Monday, Feb. 26, 2018. Like the first two hours of the show, Kotb and Gifford utilized the studio’s new video wall, namely for the start of the show. 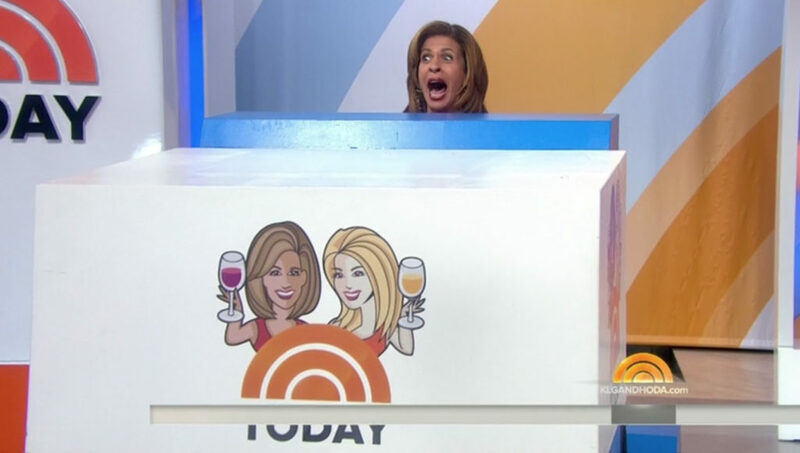 Behind the pair is a sweeping view of Rockefeller Plaza with an upper floor vantage point — key point given that the show’s home based was previously located on the second floor of Studio 1A. Over the view of Rockefeller Plaza is a faux collection of mullions, shelves and frosted panels, which include the four hour’s caricature logo camera center — with wine glasses, framed photos and other decorative items recreated on either side.